Collector Miniature Donald Zolan Plate - 1993 Snowy Adventure Annual Christmas Series 1993 from Pemberton & Oakes. 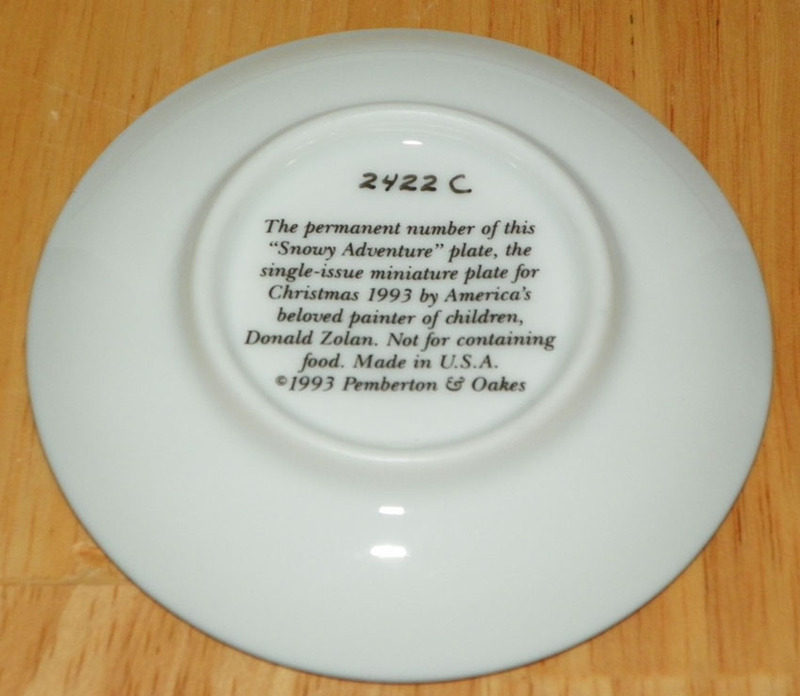 This is plate # 2422C and is 3 1/2 inches. 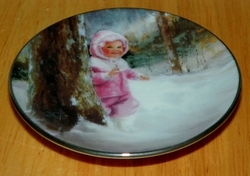 Only edition of this artwork in the miniature plate with 19 firing days.